Here are some of my Grouse Mountain pictures that I took on a recent excursion around Vancouver. 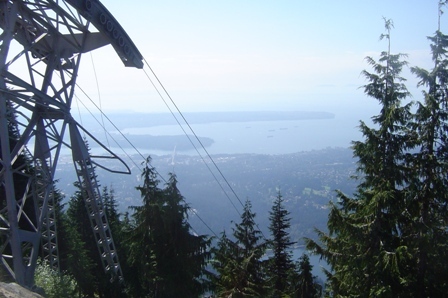 The top of Grouse Mountain. 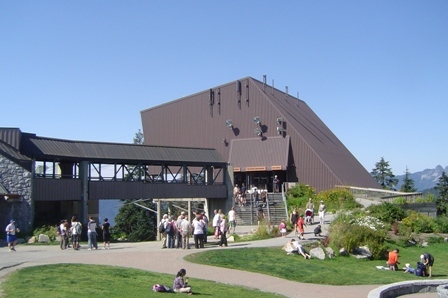 This building houses the arrival platform for when you arrive at the top of the mountain via cable car. 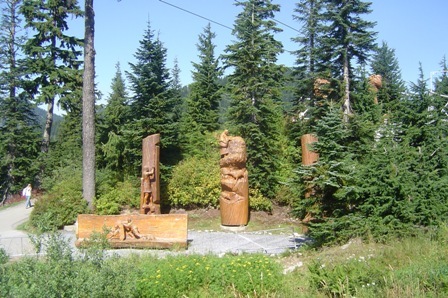 Some of the wood sculptures created on the mountain. These are all over the place. In the winter Grouse Mountain is a ski hill with lights for night skiing that can be seen from almost anywhere in Vancouver. 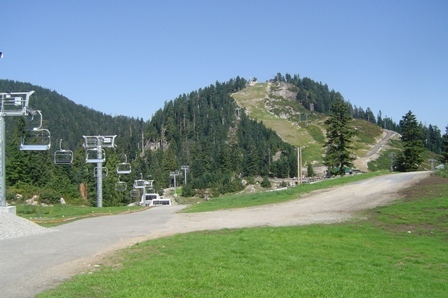 This is one of the chairlifts looking to the summit of Grouse. 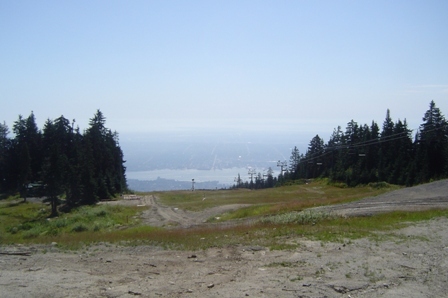 One of the ski runs with a spectacular view of Vancouver in the distance. During the winter this is one of the runs that is lit up for night skiing and is very prominent in Vancouver. 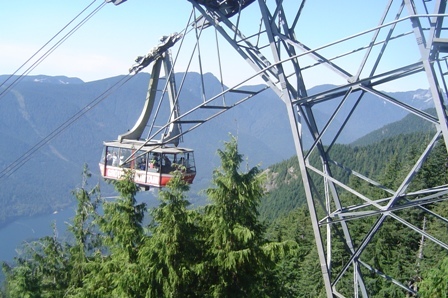 You get to the top of the mountain in one of these cable cars. They pack'em in tight! You will be with about 100 people and the cost is about $40. I was not impressed with the price and the counter argument about purchasing a season's pass is a ridiculous option for an average tourist who just wants to go up and see the view from the mountain - once! Looking down the track the cable follows up and down Grouse Mountain. The long peninsula in the distance is UBC/Point Grey and the short peninsula is Stanley Park.